The standard definition of a change agent is someone who causes change to happen. The assumed meaning of the word “agent” is akin to the chemical agent, the catalyst that spontaneously transforms something from its current state into something different. agent n. A force or substance that causes a change. While being called a catalyst may be inspiring, there is another definition of “agent” that is far more realistic when describing the role of the change agent – the representative. agent n. One empowered to act for or represent another. Consider for example a real estate agent or an attorney, who does not act on his own accord but on behalf of his client. Likewise, a change agent is an individual within an organization who influences change without direct authority. As someone who gets things done mostly through indirect means, the change agent is often representing another entity who is essentially the client of the change agent’s services. A change agent represents leaders to the rest of the organization. As someone who is implementing change on behalf of leaders, to maintain the integrity of everyone involved, a change agent’s behavior and attitudes should visibly align with those leaders. Change agents often act as translators, converting leaders’ vision and strategy into everyday activities for change. At the same time, since they are closer to the action, change agents are in a good position to represent the employees who are going through the change. 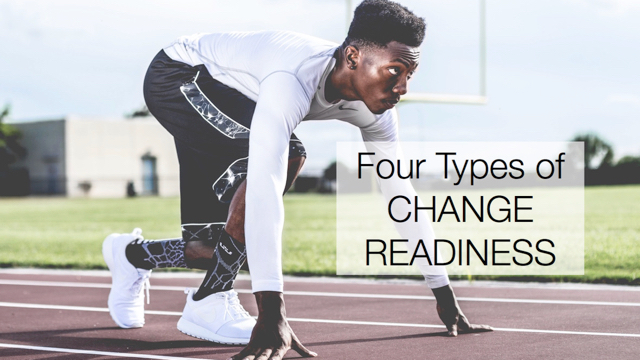 Through surveys and conversations, a change agent can keep track of how employees are receiving and implementing the change. Change agents often advocate for employee points of view that might otherwise not be voiced. Another point of view is that the change agent represents the change itself. Regardless of the other parties’ varying interests, your job is to get it done. Instead of choosing sides between leaders and employees, a change agent may advocate for what is right for the business, the mission and the values of the organization at large. From this point of view, the leaders and employees are both equal parties in the transaction. As a change agent, be aware of the client you are representing in your initiative. Which way you lean will affect your point of view and how you approach the change. This morning on The Change Agent’s Dilemma radio show, I interviewed Dot Olonovich, MBA student and change management researcher at Lehigh University, who shared tips for how (and why) she transformed her life and organization by becoming a “secret change agent” at work.